So…… we have finally moved and so has the garden.. that’s the reason the blog wasn’t updated because i was hell busy setting up the new place.. as you can expect, i moved the ENTIRE garden from one city to another.. yes, i’m crazy like that! So yes, you can expect a detailed post soon on some amazing tips & tricks for moving a garden (because all gardeners are crazy). I’d just set the planters in their place and let them hibernate for 3 months waiting for the sowing season and also trying to figure out what goes where. The exciting part is, SOWING SEASON IS FINALLY HERE!! 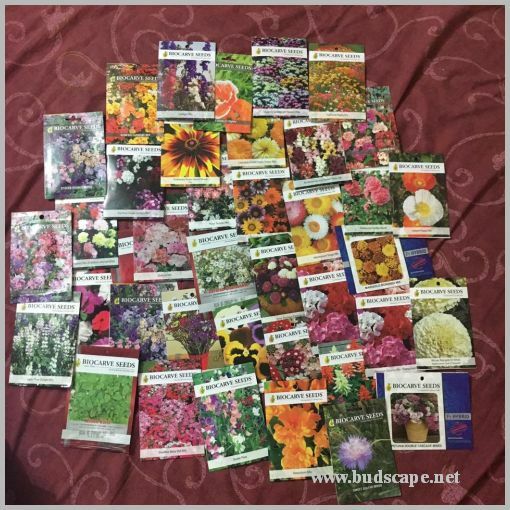 I’ve ordered tons of seeds from Biocarve, as always, but on amazing sale.. So while I set everything up for sowing and growing, I’m interested in knowing what my amazing readers are up-to? some of you were ready to sow seeds.. what’s the status? Do share in comments or you could email pics as always. Meanwhile, here’s a handy guide one on SEED SOWING TIPS & TRICKS. P.S. Readers from Mohali, Chandigarh, Panchkula, Zirakpur, Kharar & nearby, please raise your hands.. let’s catch up! Anyone residing in Gillco Valley P.M. immediately!! Nice to have you back on the blog. Petunia Supercascade, Stocks Brampton, Dianthus dbl dynasty, Osteospermum, Marigold strawberry blonde, Heliotrope, Cornflower, Hollyhocks, Dahlia are already up.. Doing anther batch this Sunday. Bulbs probably next week. Awesome! Now I’m sure to visit you when I come to india end of year. Wohooo! yeaaaaaaaa m super excited for that!! 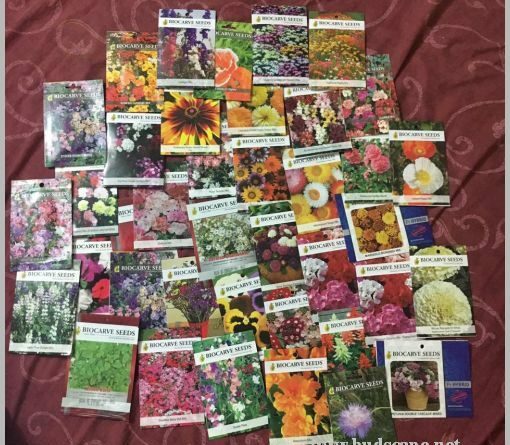 i am late this season owing to too much travel but sowing in on this week.. i need to buy a lot of bulbs i lost most of them during the shifting 🙁 what’s in ur bulb stash currently? No winter bulbs really. Just summer stuff. Have asked Hara to get bulbs since in the last two visits I did not get any. He should be getting it this weekend. It will be a Ranunculus spree this year. I went to Hara Seeds around Diwali. Found some good gladiolus bulbs and lilium bulbs had just come in. They are selling at 60 Rs. per bulb so i decided to wait and explore first. Did u visit again? I have his number. He has not got rananuculus till date. So will be ordering through FB probably now. I messaged garden glory few days ago but no response. Went to Durga Seed Store in Sec 26, Chandigarh. They will be getting the bulbs in a few days. Will update you if i get good stuff there.